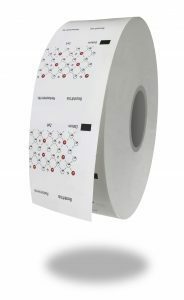 We supply labels for thermal and thermal transfer printing or travel tickets on rolls, which meet high standards because of their optimised material. Available as: travel ticket rolls, receipt rolls or vouchers. 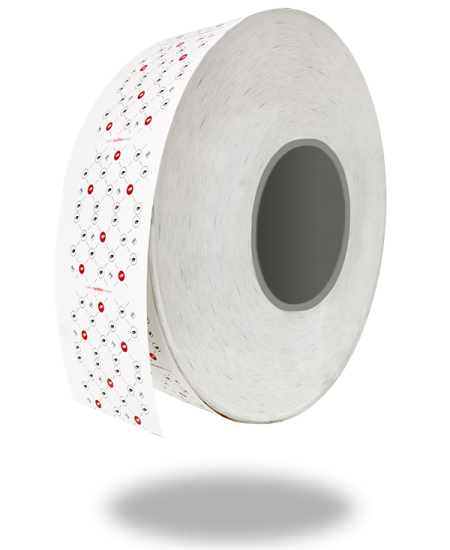 We are able to produce car park tickets as fanfold tickets and in rolls to specific sizes, with different material weights and microns in accordance with the specifications of your machine manufacturer. We can add security features into your product for added protection. This can range from a simple low-level solution, such as day-glow inks or fluorescing fibers in the substrate, to hot-stamped holograms or embossing. Also available are a range of security inks that react to heat or pressure as a means of confirming authenticity of the product. Examples of this application are coin reactive and thermochromic inks that can be added into the product design. Additionally, secure encoding of the product is available for magnetics or RF technology if desired. nagels only uses materials which have been tested and approved by the OEM’s. This gives all our customers around the world confidence to run their parking operation using nagels tickets. Materials available range from basic paper grades through to thermal coated premium materials and environmentally friendly products. We also offer composite materials, thermo-composite materials, synthetic films and thermal coated films. All of these options are supplied in varying thicknesses and weights, allowing customisation to suit your needs. When designing your tickets, our in-house graphics department will assist with the layout of where to print your logo and text. Our printing presses can print up to four colour process on the face and reverse of tickets.